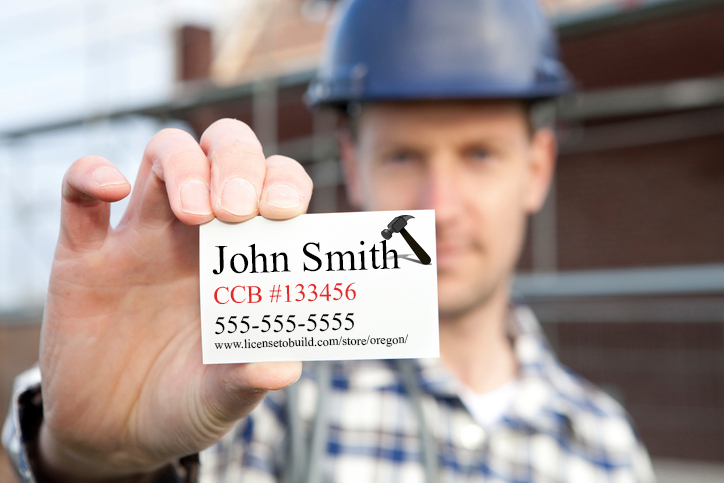 The Construction Contractors Board (CCB) requires contractors to display their CCB license number on almost all promotional and business materials. Homeowners use these numbers to verify the license of contractors before hiring them. Failing to provide CCB numbers on required materials will not only result in a $400 fine, it will also result in the loss of business as many homeowners will not hire a contractor they cannot verify. The letters CCB must precede license numbers, for example, CCB #133456. NOTE: CCB numbers are encouraged but not required on items where they are not practical. For example, pens, pencils, refrigerator magnets etc. All Oregon contractors must complete continuing education before renewing their license. Licenses expire two years after initial licensure.